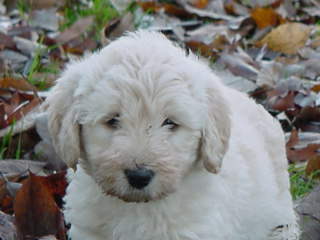 Each Labradoodle, Double Doodle and Goldendoodle puppy is born and raised in our home with lots of attention and love. My husband and I have been happily married for over 28 years and have devoted our lives and our hearts into raising happy healthy puppies. We feel really blessed to be able to spend our days together. We have 3 children so all the puppies get tons of cuddling. The puppies are well socialized as each week all the puppies visit our local elementary school. They get a chance to visit new sights and smells and play with lots of children. They also get used to riding in the car and spending some time away from their mom. Our puppies are very well adjusted, well loved, happy puppies. By the time they leave for their new homes, they will have had all their wormings completed and their first set of shots. We have a puppy care kit complete with a puppy baby blanket which smells like mommy that goes home with each puppy. Our puppies come with a 2 year Health Warranty. We can arrange personal delivery to the East Coast/Maryland/Virginia & North Carolina area. We had great success and fun raising Labrador Retrievers for over 7 years. Although we enjoyed every minute (and have had SO many happy families write and share stories and pictures of their labs with us), we have always been sorry that several of our friends and family members, who love dogs, are unfortunately allergic to dog-dander. And so, we began researching a different dog breed which could be owned by those fur-sensitive but dog-loving individuals. We wanted a breed that would have the all around terrific family personality of our labs. 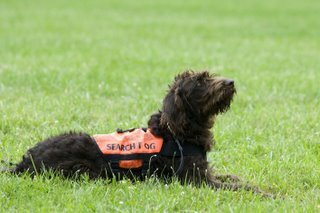 We found Labradoodles to be a perfect match for any family who might suffer from allergies or wish to have a low to non-shedding dog. 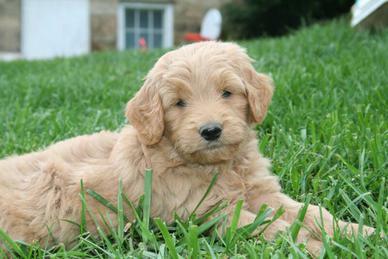 Goldendoodles have the same low to non shedding coats as the Labradoodles but have a slightly longer coat length. 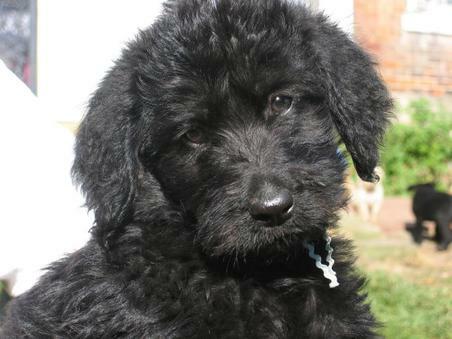 They have the same great characteristics as the labradoodle and are just as smart, loving and family friendly. Double Doodles are the awesome mix of both doodles! 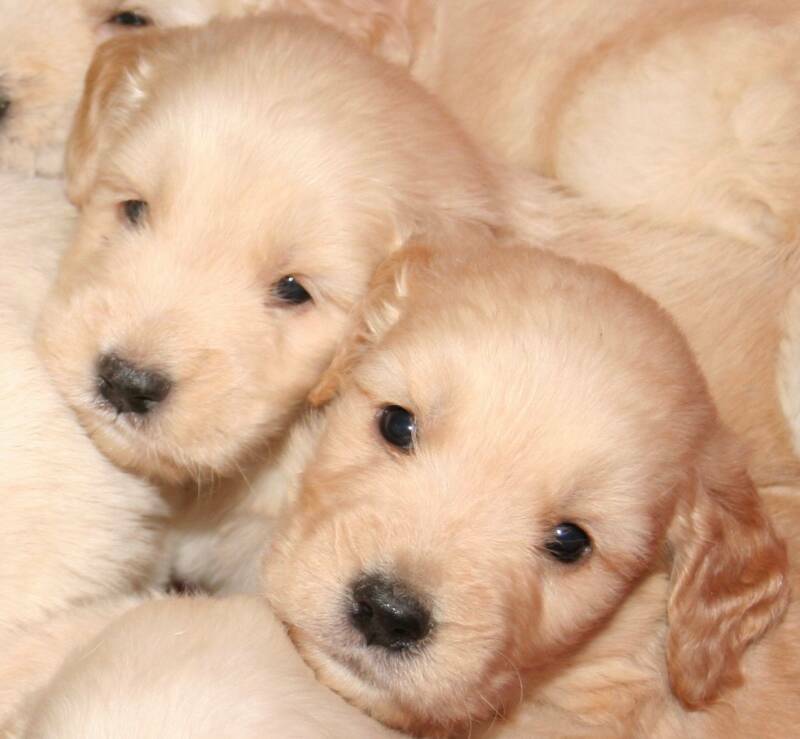 We have now been raising puppies for well over 20 years and Doodle puppies are just the best. 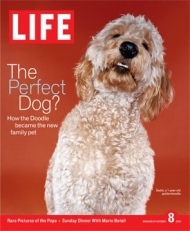 Doodles combine all the wonderful loving traits of a Retriever with the intelligence and loyalty of a Poodle. 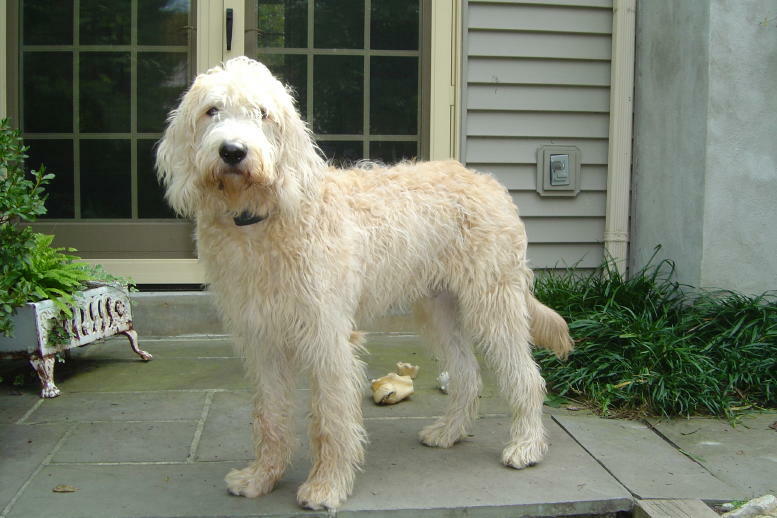 Doodles are low to non-shedding and tend to be non-allergenic. Doodles are a healthy breed of dogs due to "Hybrid Vigor" which means they are not prone to breed specific health problems.They make an ideal family pet. 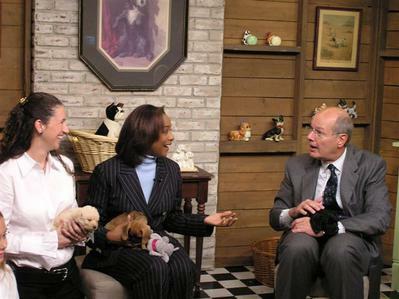 Yesteryear Acres Labradoodles were featured on the CBS EARLY SHOW. The producers, production staff and anchors just loved the puppies. 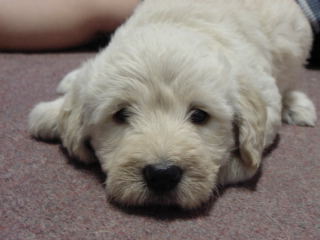 Click on the yellow links to see great pictures of puppies we have sold in the past - Happy at their new Homes! They really are the perfect dog!!! 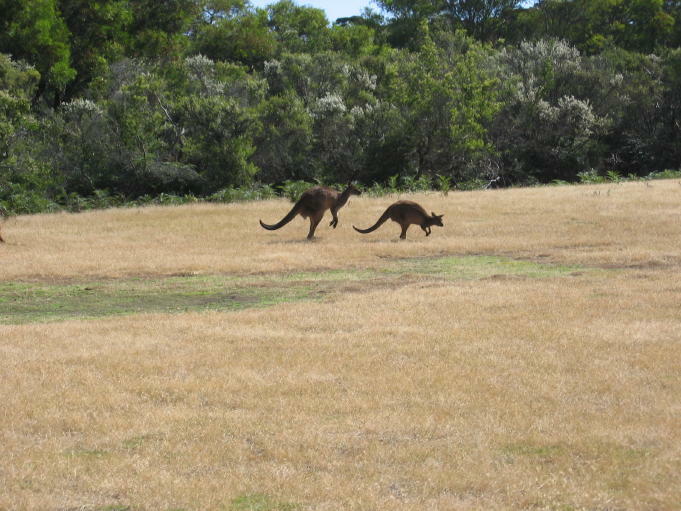 I traveled to Australia in December 2004 to meet with the originators of the Australian Labradoodles. I got a chance to tour their facilities and meet the labradoodles and puppies. It was a great trip! Please click on the purple "Nursery" Link to see all the new puppy pictures. We are dedicated to raising healthy happy puppies and attend the yearly International Labradoodle Association's Breeders of Excellence Education Seminars to ensure that we continue our commitment to raise the very best family raised labradoodle and goldendoodle puppies for your family. On April 28, 2007 an International Doodle Romp Around the World Day was celebrated. There were doodle dogs all across the globe romping and having a ball. Here are some photos from the Indiana Romp. complete with a collar, leash, brush, toys and more!